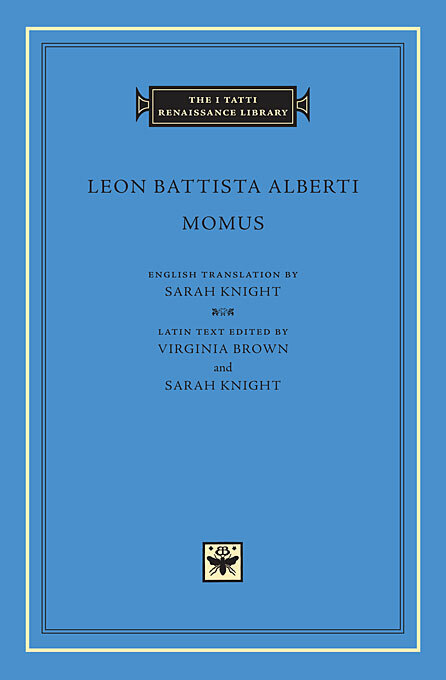 Momus is the most ambitious literary creation of Leon Battista Alberti, the famous humanist-scientist-artist and “universal man” of the Italian Renaissance. 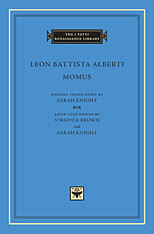 In this dark comedy, written around 1450, Alberti charts the lively fortunes of his anti-hero Momus, the unscrupulous and vitriolic god of criticism. Alberti deploys his singular erudition and wit to satirize subjects from court life and politics to philosophy and intellectuals, from grand architectural designs to human and divine folly. The possible contemporary resonance of Alberti’s satire—read variously as a humanist roman-à-clef and as a veiled mockery of the mid-Quattrocento papacy—is among its most intriguing aspects. While his more famous books on architecture, painting, and family life have long been regarded as indispensable to a study of Renaissance culture, Momus has recently attracted increasing attention from scholars as a work anticipating the realism of Machiavelli and the satiric wit of Erasmus. This edition provides a new Latin text, the first to be based on the two earliest manuscripts, both corrected by Alberti himself, and includes the first full translation into English.